Encouraging boundless creativity through the arts. Fine arts stimulate and develop creativity and artistic expression. Student participation in the arts allows them to express their unique God-given talents in a variety of ways. Students can play in the Wildcat Band, perform in the school play, or sing in front of thousands at an Orlando Magic game. Students at St. Luke’s have the opportunity to learn an instrument of their choice starting in 4th grade. They learn how to read music, understand the mechanics of musical composition, and play in an ensemble. Students serve as musical leaders in worship. They learn to sing chordal harmony and demonstrate pure vowel, clear consonants, and worshipful expression. 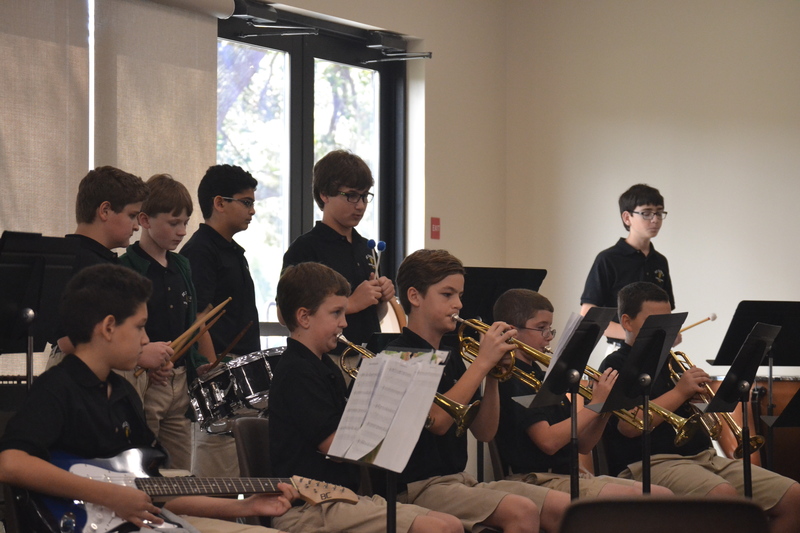 Programs in our fine arts division have excelled with Superior ratings in the Lutheran Music Festival, as well as performing at Universal Studios and Orlando Magic games.